As I mentioned in the previous post, this couloir links up really well with the couloir on Vestre Austabottind and it only takes an hour to an hour and a half from the flats to being at the top (assuming you’ve skied the Austabottind couloir). It’s not a very long couloir (around 300m excluding the fan and runout) and is consistently 40 degrees (I checked it with my inclinometer). A great and fun run with little commitment needed. 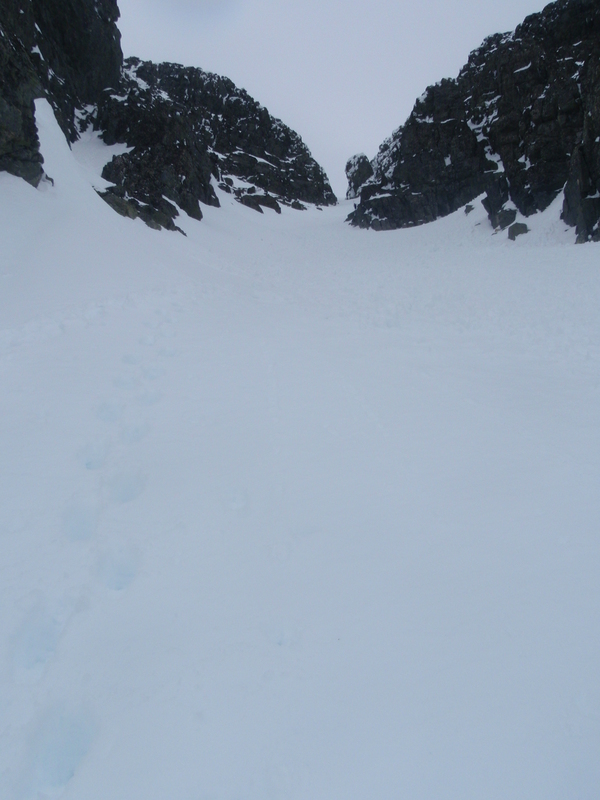 Unfortunately due to its southerly aspect, the snow was not the best and was choked with a lot of old sluff slides. 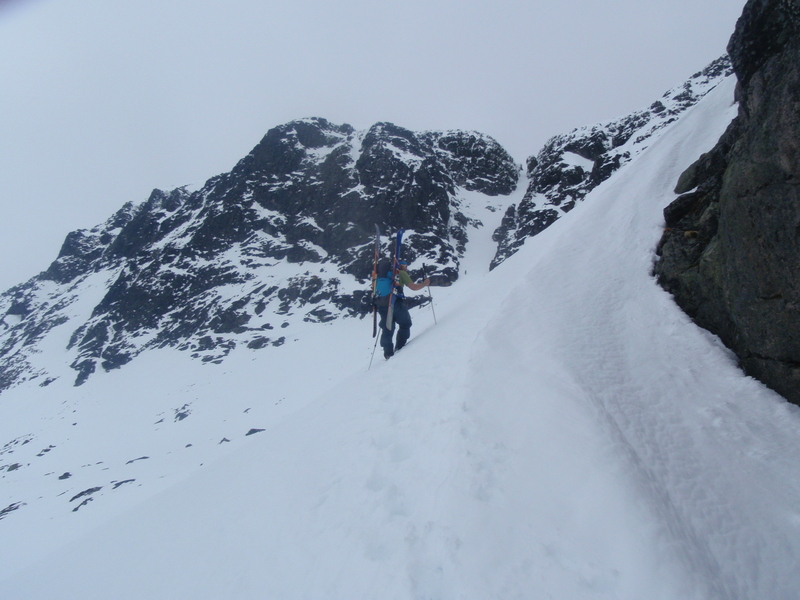 We did manage to find a few pockets of soft snow but for the most part it wasn’t the best skiing I’ve ever done. Still, in the right conditions, it’s a great little couloir. It saw quite a lot of traffic the day we skied it, with three other pairs than ourselves. And it was hot. The sun wasn’t out but the cloud cover kept it uncomfortably toasty. We were up and down in no time. A great day out. Linking up both couloirs without any incident and going at a pretty leisurely pace took around 4.5hrs (including breaks, transitions e.t.c) and the altitude gain over the day was 1050m with 1300m skied down. 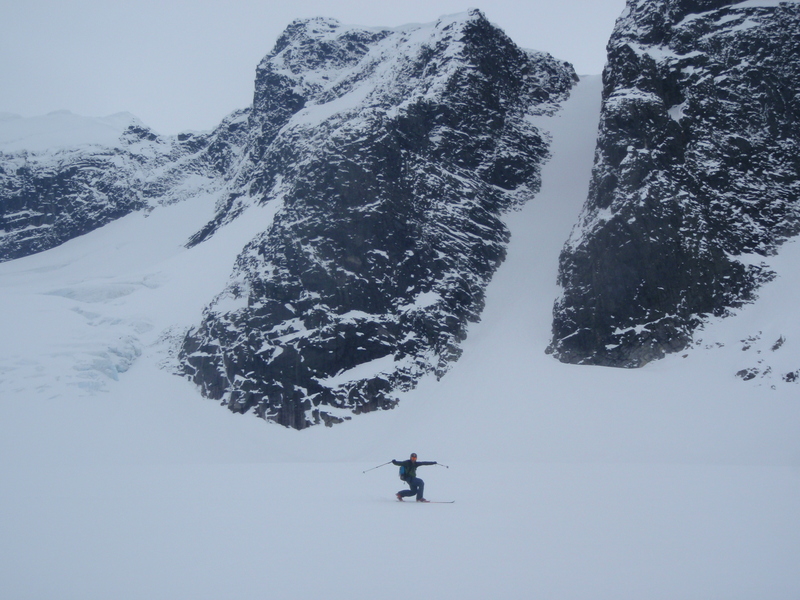 We skied out of the same valley that contains the couloirs. This meant that we had to get a lift back to the car which was a few kms up the road. We did think about just skinning over the ridge on the way back to get to the car but managed to sort a lift out before that was necessary. And then off to Turtagrø Hotel. What a great little place that is! It was my first time there. 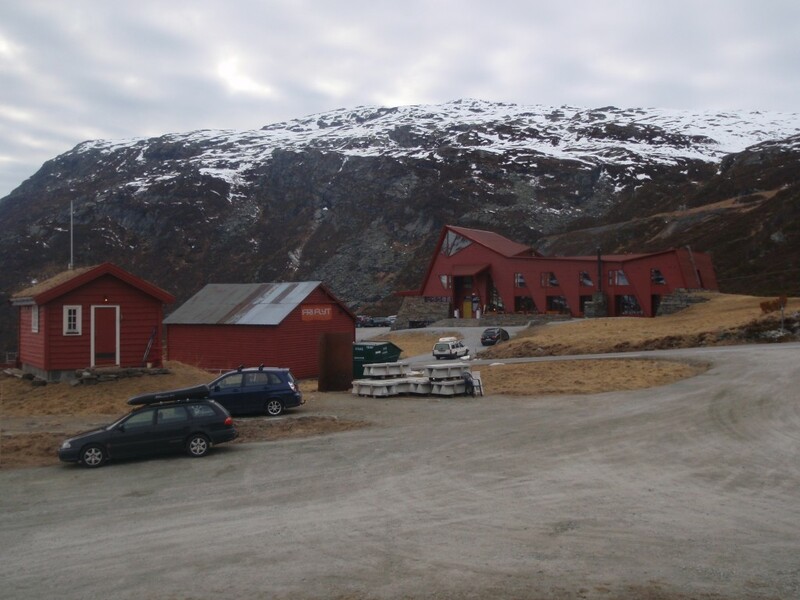 A real little ski community with a great vibe and a really nice, basic but somehow swish hotel. 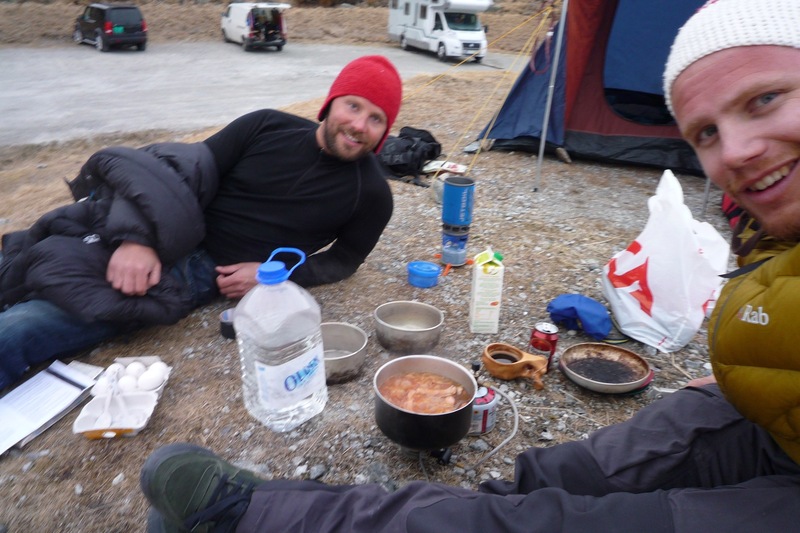 We camped outside for 100 NOK each and were able to use the shower and dry room and sit in the communal area and library. The library is something else and supposedly quite famous or at least it was before it got burnt down in 2001 with an enormous collection of mountaineering books. Fortunately for us and thanks to donations from around the world, the library is slowly recovering and they had loads of interesting, rare books to read. A great place to base yourself (probably the only place actually) and explore the area. 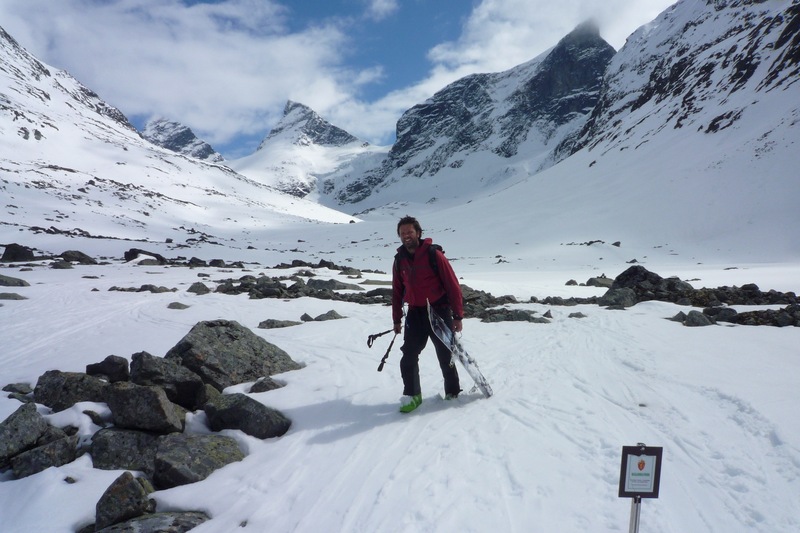 This entry was posted in Jotunheimen, Norway and tagged Backcountry, Backcountry skiing, Hurrungane Norway, Jotunheimen, Snowboarding, Splitboarding, Store Soleitind, Turtagrø. Bookmark the permalink. 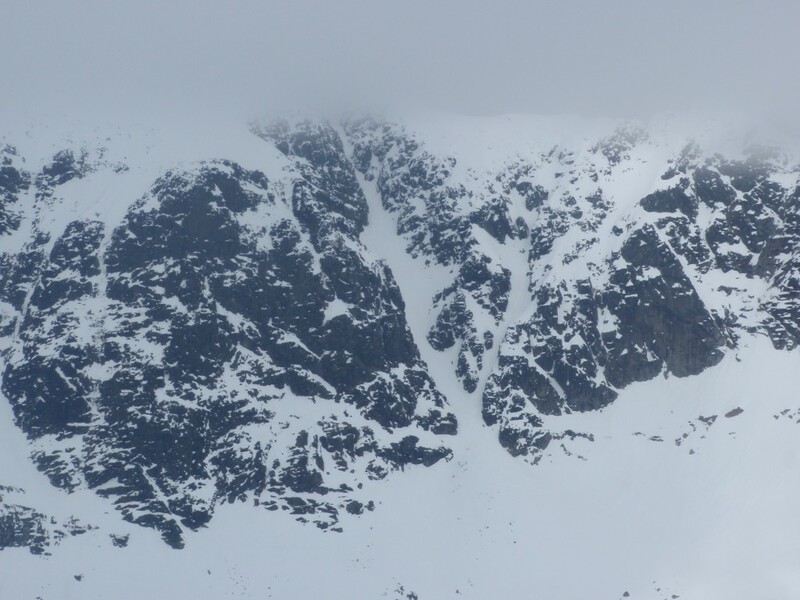 Is it the main couloir that angles up a little to the left or the wee one that angles to the right? Glad you liked it. 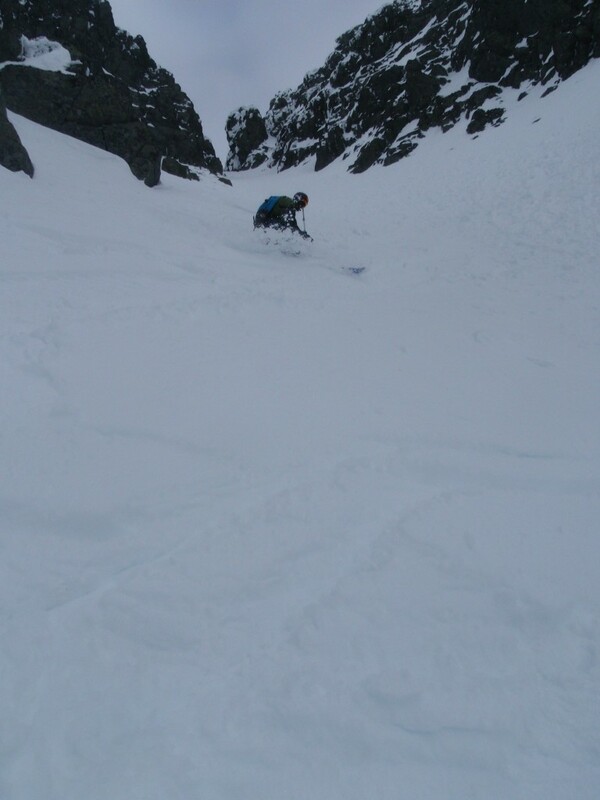 Was a nice couloir although conditions weren’t quite the best but definitely recommend it! 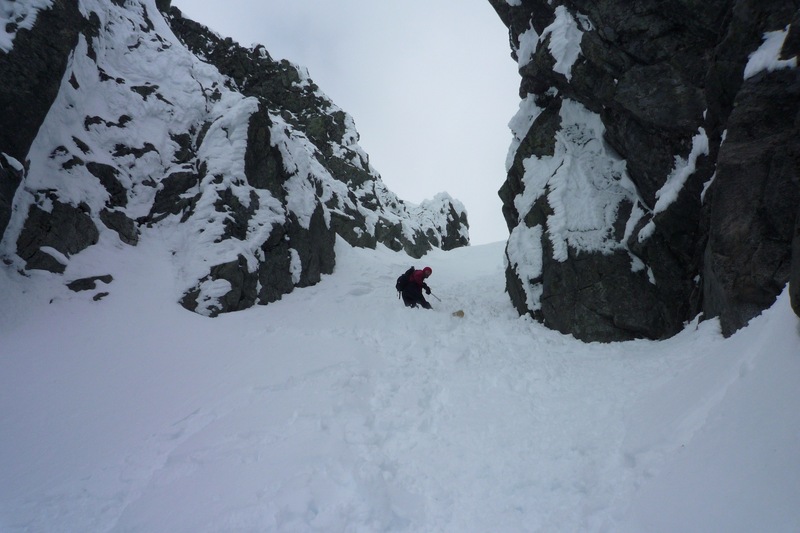 Not quite sure if you want me to be more specific on which couloir it is in the picture but if so…… It’s the most obvious, uninterrupted line without rocks in it (from the top it angles down from left to right). Are you thinking of skiing it? I tried to ski Austabotntind renne in June but it was too icy to ski. Hoping to try again next season (got me a shiny new splitboard for next season), prolly a little earlier than this year. 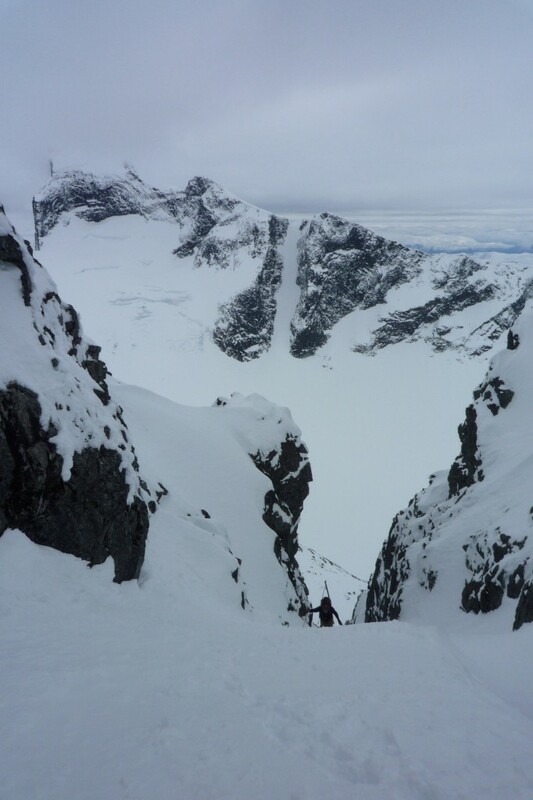 I didnt realise that there was a couloir on Store Soleitind across the glacier which is rideable so will definitely have a peek at this next time I am in the area.